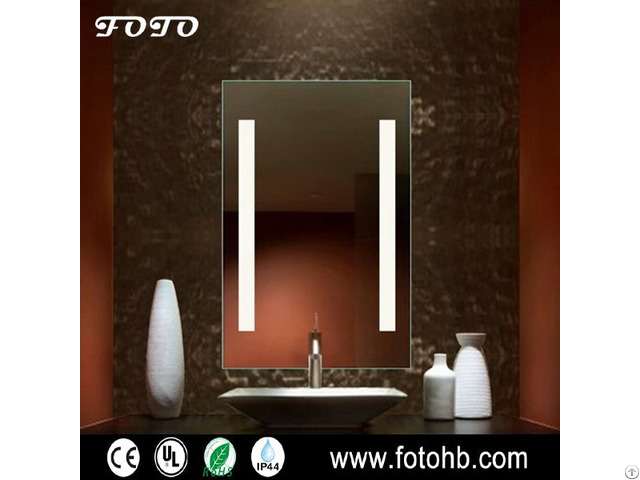 (1) Square frameless backlit mirror. (2) mirror size 600MM wide x 800MM tall. (3) W40mm frosted, two lines on right and left as lighting source. (5) closed metal frame with white powder coated.